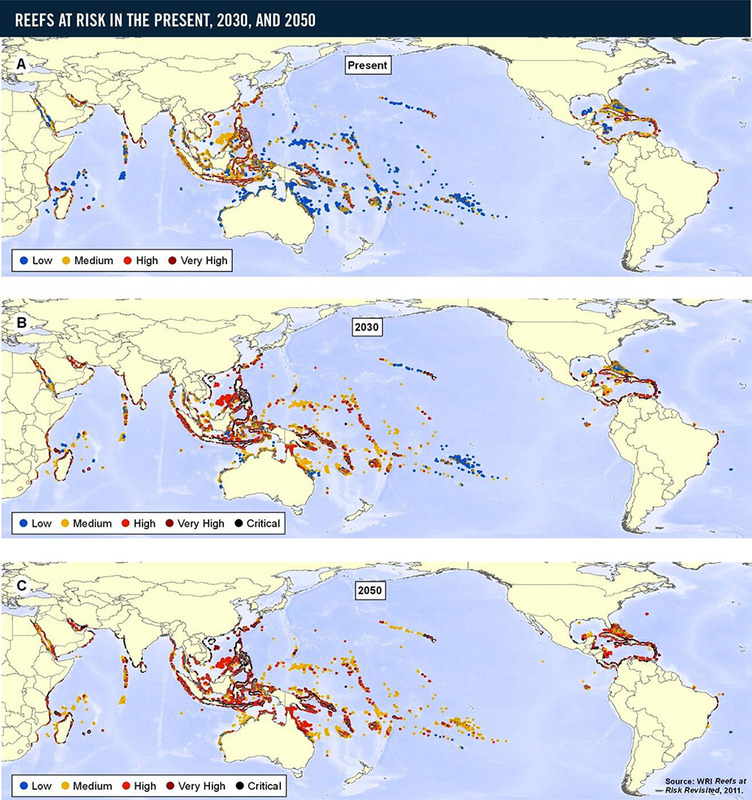 Figure 4-6 Map A (top) shows reefs classified by present integrated threats from local activities (i.e., coastal development, overfishing/destructive fishing, marine-based pollution, and/or watershed-based pollution). Maps B and C show reefs classified by integrated local threats combined with projections of thermal stress and ocean acidification for 2030 and 2050, respectively. Reefs are assigned their threat category from the integrated local threat index as a starting point. Threat is raised one level if reefs are at high threat from either thermal stress or ocean acidification, or if they are at medium threat for both. If reefs are at high threat for both thermal stress and acidification, the threat classification is increased by two levels. The analysis assumed no increase in future local pressure on reefs, and no reduction in local threats due to improvements in management.